The Prostate Cancer Center of Excellence (PCCOE) fosters innovative, multidisciplinary research on prostate cancer. Established in January 1999 to catalyze collaboration and translation among the scientific and clinical programs of the Wake Forest Baptist Comprehensive Cancer Center (WFBCCC), the PCCOE draws upon Cancer Center members from all scientific programs and includes clinicians, basic scientists, and public health scientists. The PCCOE meets weekly with clinicians in the Genitourinary (GU) multidisciplinary clinic. The combined PCCOE/GU group provides a forum for discussion of clinical cases, basic and epidemiologic research, and for the planning and evaluation of clinical trials in prostate cancer. Chemopreventive activities focus on two agents, soy and vitamin, and includes both the prevention of cancer and of recurrence. J. Mark Cline, DVM, PhD, Department of Comparative Medicine, and colleagues are examining whether men who are supplemented with soy protein containing isoflavones have a decreased risk of prostatic cell proliferation than men who are treated with a placebo. This research, conducted within the Section on Comparative Medicine, is complemented by ongoing studies of soy on the behavioral and glandular function of macaque monkeys. Progress in basic science and epidemiology has facilitated the development of novel experimental therapies within the PCCOE, including the use of a genetically engineered vesicular stomatitis virus to kill prostate cancer cells, an area in preclinical development by Doug Lyles, PhD and Miriam Ahmed, PhD. William Gmeiner, PhD, and colleagues are developing new drugs and novel strategies for drug delivery. Their discovery of novel polymeric form of fluoropyrimidines that are more potent and less toxic than conventional members of this class of drugs led to exciting developments in preclinical models. Progress in ubiquitination pathways involving E3 ligase, such as Skp2, and metabolism of prostate cancer cells, such as the glycolysis, TCA cycle and fatty acid synthesis pathway under investigation in the lab of Hui-Kuan Lin, PhD and Steven Kridel, PhD, is likely to identify new targets for novel therapies. Scientists who participate in the Prostate Cancer Center of Excellence (PCCOE) have made significant research contributions. Although glucose is thought to be a major source for glycolysis and TCA cycle to supply energy for cancer cell proliferation and survival, glucose is also known to induce H3 acetylation for gene expression. However, the mechanism by which glucose induces H3 acetylation and subsequent gene expression is not well understood. Moreover, it is also puzzling about what glucose target genes are relevant for its role in cancer regulation. 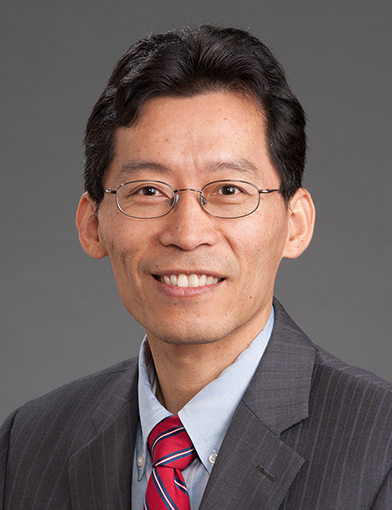 Dr. Hui-Kuan Lin’s group has attempted to address these key questions and shows that in addition to supplying energy and building blocks for cancer cell proliferation and survival, glucose could also trigger H3 ubiquitination for the induction of a subset of genes through the epigenetic mechanism to facilitate cancer cell survival and stemness, in turn promoting prostate cancer progression. Mechanistically, glucose elicits activation of NEDD4, which then acts as an E3 ligase to induce H3 ubiquitination that serves as a crucial step for the recruitment of GCN5 acetyltransferase to H3, thereby promoting H3 acetylation. Notably, deficiency of NEDD4 and H3 ubiquitination markedly reduces tumorigeneicity of prostate cancer stem cells. This study not only provides new insight and mechanism by which glucose signaling could go beyond energy metabolism to promote prostate cancer through epigenetic regulation, but also offers novel paradigms and strategies for targeting glucose-mediated oncogenic processes. This study is recently published in Nature Communications (H3 ubiquitination by NEDD4 regulates H3 acetylation and tumorigenesis. Zhang X, Li B, Rezaeian AH, Xu X, Chou PC, Jin G, Han F, Pan BS, Wang CY, Long J, Zhang A, Huang CY, Tsai FJ, Tsai CH, Logothetis C, Lin HK.. Nat Commun. 2017;8:14799. There is a rich bounty from the scientists who participate in the Prostate Cancer Center of Excellence (PCCOE). Recent findings from the group of Jiangeng Xu, PhD, MD, exemplified by recent papers in the New England Journal, have three other, notable findings with translational importance, from the fields of signaling, animal models and molecular epidemiology include the findings of Yong Chen, PhD, Gary Schwartz, PhD, and Hui-Kuan Lin, PhD (Director of Prostate Cancer Center of Excellence). The JCI study from Dr. Chen’s lab is based on epidemiologic observations that suggest that diets rich in omega-3 polyunsaturated fatty acids are associated with a lower incidence of prostate cancer. To determine the influence of fatty acids on prostate cancer risk in animals with a defined genetic lesion, Dr. Chen’s group used prostate-specific Pten-knockout mice, an immune-competent, orthotopic prostate cancer model, and diets with defined polyunsaturated fatty acid levels. They found that omega-3 fatty acids reduced prostate tumor growth, slowed histopathological progression, and increased survival. Conversely, opposite effects were seen with omega-6 fatty acids. Tumors from mice on the omega-3 diet had lower proportions of phosphorylated Bad and higher apoptotic indexes compared with those from mice on omega-6 diet. Knockdown of Bad eliminated omega-3-induced cell death, and introduction of exogenous Bad restored the sensitivity to omega-3 fatty acids. These data suggest that modulation of prostate cancer development by polyunsaturated fatty acids is mediated in part through Bad-dependent apoptosis. This study has important translational implications for dietary chemoprevention of prostate cancer." A second notable finding is the observation made in two prospective nationally representative studies that serum levels of calcium that are normal, but are high (high normocalcemia) significantly predict fatal prostate cancer. This observation was reported by Halcyon G. Skinner, PhD, and Dr. Gary Schwartz, Skinner HG, Schwartz GG. A prospective study of total and ionized serum calcium and fatal prostate cancer. Cancer Epidemiol Biomark Prev 2009; 18:575-578. In 2008, these authors reported a significant positive association in the National Health and Nutrition Examination Survey between high levels of total calcium in serum, measured prospectively, and risk of fatal prostate cancer. This study sought to confirm that original observation. To do so, Drs. Skinner and Schwartz examined associations between total and ionized serum calcium and prostate cancer mortality in an independent cohort, the Third National Health and Nutrition Examination Survey. 25 prostate cancer deaths occurred over 56,625 person-years of follow-up. Compared with men in the lowest tertile of total serum calcium, the multivariate-adjusted relative risk for death from prostate cancer for men in the highest tertile was 2.07 (95 percent confidence interval, 1.06-4.04). For ionized serum calcium, the physiologically active fraction of total serum calcium, the relative risk for men in the highest tertile was 3t because there is a pressing need to discriminate the minority of prostate cancers that will become lethal from the majority that are unlikely to do decide which cancers require treatment. Jin G, Xu C, Zhang X, Long J, Rezaeian AH, Liu C, Furth ME, Kridel S, Pasche B, Bian XW, Lin HK. Atad3a suppresses Pink1-dependent mitophagy to maintain homeostasis of hematopoietic progenitor cells. Nat Immunol. 2018;19(1):29-40. Bawa-Khalfe T, Yang FM, Ritho J, Lin HK, Cheng J, Yeh ET. SENP1 regulates PTEN stability to dictate prostate cancer development. Oncotarget. 2017;8(11):17651-64. Rezaeian AH, Li CF, Wu CY, Zhang X, Delacerda J, You MJ, Han F, Cai Z, Jeong YS, Jin G, Phan L, Chou PC, Lee MH, Hung MC, Sarbassov D, Lin HK. A hypoxia-responsive TRAF6-ATM-H2AX signalling axis promotes HIF1alpha activation, tumorigenesis and metastasis. Nat Cell Biol. 2017;19(1):38-51. Zhang X, Li B, Rezaeian AH, Xu X, Chou PC, Jin G, Han F, Pan BS, Wang CY, Long J, Zhang A, Huang CY, Tsai FJ, Tsai CH, Logothetis C, Lin HK. H3 ubiquitination by NEDD4 regulates H3 acetylation and tumorigenesis. Nat Commun. 2017;8():14799. Ruan D, He J, Li CF, Lee HJ, Liu J, Lin HK, Chan CH. Skp2 deficiency restricts the progression and stem cell features of castration-resistant prostate cancer by destabilizing Twist. Oncogene. 2017 Jul 27;36(30):4299-4310. Harris KH, Kerr BA. Prostate cancer stem cell markers drive progression, therapeutic resistance, and bone metastasis. Stem Cells Int. 2017;2017():8629234. Liu X, Xiao ZD, Han L, Zhang J, Lee SW, Wang W, Lee H, Zhuang L, Chen J, Lin HK, Wang J, Liang H, Gan B. LncRNA NBR2 engages a metabolic checkpoint by regulating AMPK under energy stress. Nat Cell Biol. 2016;18(4):431-442. Sharma S, Xing F, Liu Y, Wu K, Said N, Pochampally R, Shiozawa Y, Lin HK, Balaji KC, Watabe K. Secreted protein acidic and rich in cysteine (SPARC) mediates metastatic dormancy of prostate cancer in bone. J Biol Chem. 2016;291(37):19351-63. Zhang X, Li CF, Zhang L, Wu CY, Han L, Jin G, Rezaeian AH, Han F, Liu C, Xu C, Xu X, Huang CY, Tsai FJ, Tsai CH, Watabe K, Lin HK. TRAF6 restricts p53 mitochondrial translocation, apoptosis, and tumor suppression. Mol Cell. 2016;64(4):803-814. Dai J, Hensel J, Wang N, Kruithof-de Julio M, Shiozawa Y. Mouse models for studying prostate cancer bone metastasis. Bonekey Rep. 2016;5():777. Tsuzuki S, Park SH, Eber MR, Peters CM, Shiozawa Y. Skeletal complications in cancer patients with bone metastases. Int J Urol. 2016;23(10):825-832. Ritchie MK, Johnson LC, Clodfelter JE, Pemble CW IV, Fulp BE, Furdui CM, Kridel SJ, Lowther WT. Crystal structure and substrate specificity of human thioesterase 2: insights into the molecular basis for the modulation of fatty acid synthase. J Biol Chem. 2016;291(7):3520-3530.